Oxford scored the first points of the afternoon with an unconverted try in the 4th minute after sustained pressure in Bletchley’s 22. Oxford knocked on from the restart and it was Bletchley’s turn to exert some pressure of their own. However, Oxford defensive line rallied well to deny the visitors a score. The game was evenly matched for long periods of the first half, but neither side were able to put points on the board. 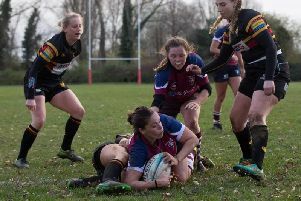 The home side broke the deadlock with a converted try in the 28th minute, after working hard to find gaps in Bletchley’s well-drilled defensive line. Oxford had the last say of the half, scoring with the final play to take a 17 – 0 lead into half time. The second half started the same as the first, with Oxford scoring in the 4th minute to secure their bonus point try and extend their lead to 22 – 0. Bletchley then spent some time in Oxford’s half, but once again left empty handed as the home side defended well. 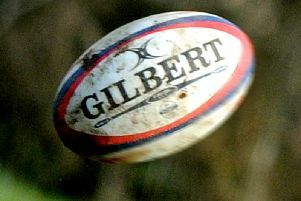 Oxford then gained the upper hand, scoring two further tries before the final whistle to secure a 34 – 0 win. Bletchley deserved to get something from the game. Their defence was excellent, but it was little errors and at times poor decision making that allowed Oxford to secure a bonus point win.